The previous two days have been very good to my cast bullet cache. There's nothing like moulds that function as designed and three of my Lee moulds were running at near 100% efficiency. I am in the process of stockpiling 120 gr. 9 mm, 125 gr. 357 RF bullets and abut a coffee can full of 255 gr. 38-55 bullets. As long as this bitter weather is here I plan on casting about an hour or two every day. I have been trying unsuccessfully to post this message and with my new Dell computer I am finding this is an impossible task. My old Mac was as simple as could be but for example, yesterday I lost my second try to post it. Seems the Mac method of using key commands isn't recognized and actually dumps your message with no method of retrieval. I hope that I can finish and post this one before the Dell catches me trying to do so. Casting will resume later this morning so I still have some time to try to get this posted. RD, how is that new job . I don't think I could fly at those low altitudes you are working in. Have you located any record bucks on or near your ranch? Our deer season is over for the year so now our deer can lounge around with little to worry about, with the exception of automobiles, trains, etc. Please convey my best regards to your dad and Dianna Also, have a happy new year. Good to hear that you have bullet casting weather! Last year, I decided to stop casting until I worked through my stockpile of bullets and despite the shooting done last year, I think I will still not need to cast this year. I must stop casting such large lots of bullets. I will never have to cast another 30-30 Win bullet in my lifetime; I've got that many on hand. That extends to some other cartridges. 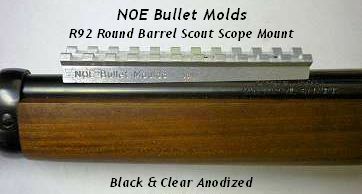 Plus, I have a bunch of Beartooth bullets that I bought over twenty years ago now, and they need to be shot so I will never need to cast for the 44 Mag or 444 Marlin — got to start using this stuff up rather than fiddling with something else! Everyone is doing fine here, and the patrol flying is going well. It has given my dog and me something else to do! I see a lot of deer and hogs; it makes the flying very interesting. All is well here; the family is doing great and thanks for asking. Don't worry about the Dell; you will get used to it. Old dogs do learn new tricks!